These witches are sensible dressers. 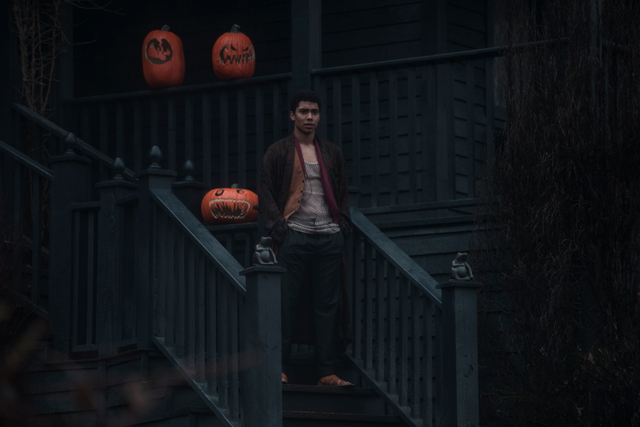 While Netflix's 2018 rehash of the classic Sabrina made a 180-degree turn towards the horror genre, the show is still no doubt as fashion-forward. Naturally, gone are the tight slip dresses, black chokers, and tube tops from the '90s, but they've been replaced with iconic coats, dainty lace collars, and chic homewear perfect for the fashion girl of today. “Wearing the costumes is so fun because they’re always different and they always kind of reflect what the character is going through. 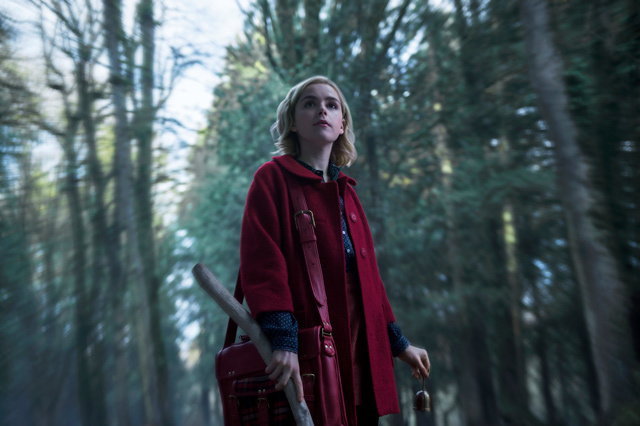 And I really like that as the show progresses, Sabrina’s fashion changes because she as a person is changing—which is awesome,” Kiernan Shipka says of her character's wardrobe. 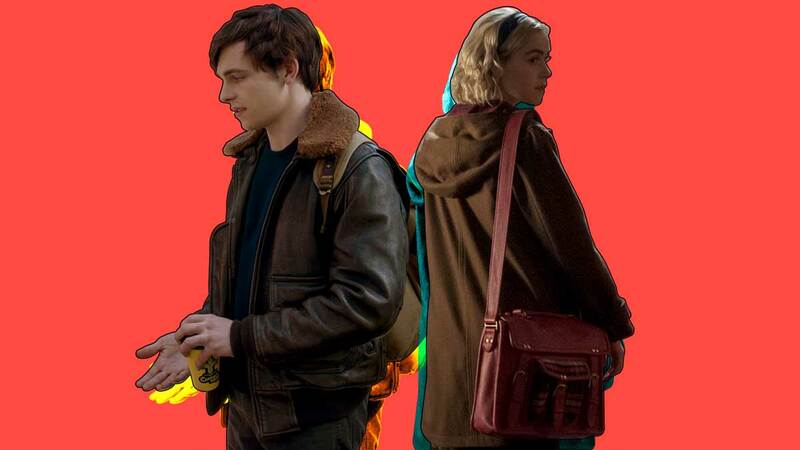 "I think her red coat is so iconic—I’m so obsessed with it and I think it will be a fan favorite," Kiernan gushes of her character's signature winterwear. Rendered in a youthful Peter Pan collar mixed with a fiery dark red shade, the coat perfectly capture's Sabrina's vibrant yet feisty character. The coat is famouly paired with tights on the show along with a black turtleneck; but for those of us living in the tropics, try pairing your own statement red coat with lighter fabrics and dainty prints. 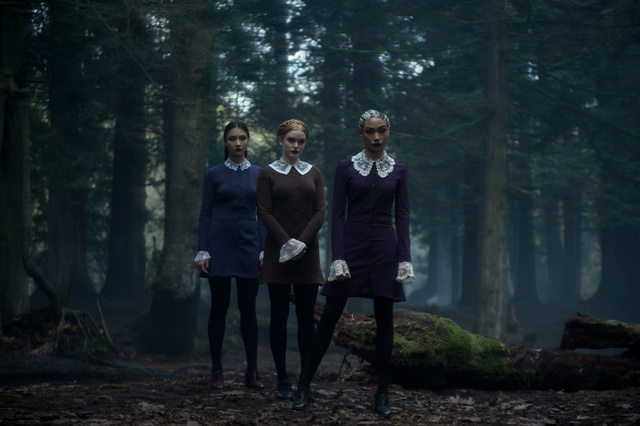 Sabrina's cold tormentors sure have a way of making an eerie entrance, and it's made more sinister thanks to their coordinated tights and body-hugging long-sleeve dresses that will sort of remind you of that creepy kid from Orphan. But what makes their outfits truly stand out are their laced collars and cuffs, giving this trio a false dainty yet regal vibe with a hint of vintage feels to add to their strange personalities. 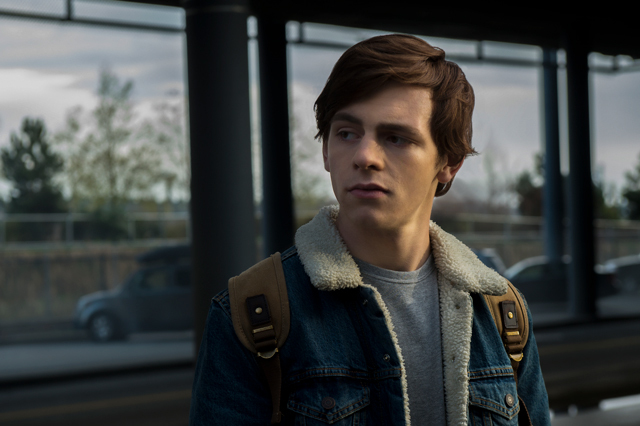 A denim jacket may already be a closet no-brainer staple, but add on a sherpa collar like Ross Lynch's character Harvey and you're sure to add a cooler, more sophisticated spin to your otherwise basic look. Though bound to the Spellman compound, this warlock still finds ways to turn up in smart and chic housewear. Chance Perdomo's charming Ambrose can teach you a thing or two about simple yet posh dressing. He often easily elevates his basic T-shirt and jeans combo by layering with floral satin robes and sharp printed cardigans. So tell us, whose signature look are you copping?